Aren’t credit cards the devil? No…not if you have a good dose of both discipline and smarts to use them to your advantage and not demise. Here are nine mistakes to avoid with travel credit cards, so you can be in the minority of people winning the travel credit cards game. 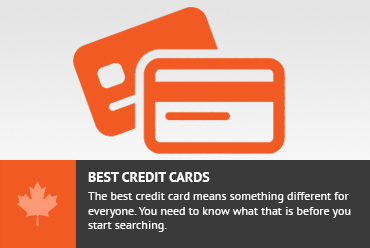 Credit card companies want you to make the mistakes below; it’s how they make money. The same applies to frequent flyer miles. Airlines aren’t doling out miles for “free” flights out of the goodness of their hearts. So if you’re going to play the frequent flyer mile game or use travel credit cards, it’s important to remember these mistakes to avoid. Without a doubt, this is how credit card companies make their money (and they make a lot of it). It’s even more exaggerated with travel credit cards, which usually carry higher interest rates. 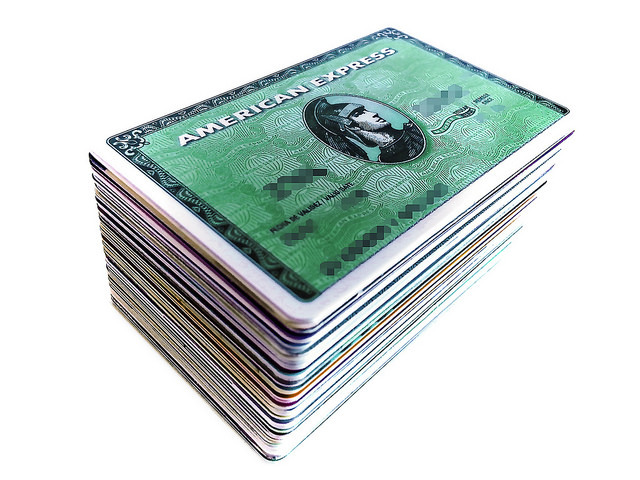 Sadly, a recent study revealed that more than half of travel credit cards cardholders carry a monthly balance. What most people don’t realize is that credit cards charge interest backdated to the purchase date. For example: Your billing cycle is September 1-30. You make a $500 purchase on September 2. You receive your bill on October 1, and if you pay it off in full by the due date (Oct 10 for example), you won’t pay interest. But if you only pay off $300 by the due date, for your next bill (received November 1) you’ll be charged interest on the remaining $200 as of your purchase date (September 2) – no grace period! So, you’ll get dinged for interest on that $200 for the month of September, AND you’ll be charged interest on the interest in October. If you’ve already got a balance that you can’t possibly pay off in a month or two, check out this resource to learn 15 ways to pay off your debt…fast. If the above scenario isn’t terrifying enough, making minimum payments is an even bigger mistake. If you only make minimum payments on a $1,000 balance, it will take you six years to pay it off and it will cost you over $1,500 in total (that’s 50% interest)! Sometimes when you travel and charge something to your credit card, the vendor will ask you if you want to pay in your home currency or their local currency. Known as dynamic currency conversion, it’s a trap. Although you might think that charging the expense in your home currency would be a better idea (to avoid your credit card’s foreign transaction fees), you’ll likely be charged an even greater currency conversion charge (plus a hidden fee) by the vendor. Foreign transaction fees (where the credit card company charges an additional few percentage points on the purchase to convert currencies) are actually where credit card companies do make money off me; something sadly unavoidable since no Canadian travel credit cards offer free foreign transaction fees. Although it’s worth noting that converting money (whether through credit card purchases, at a money exchange counter, or even through ATM withdrawals) will always cost you something, foreign transaction fees charged by credit cards are often on the higher end of the spectrum, at around 2.5-3%. Using your credit card to withdraw money at an ATM (which is considered a cash advance) is also a huge and costly mistake; one that I learned about the hard way. Remember how I mentioned earlier that if you don’t pay off your balance in full by the due date, you’ll be charged interest on the remaining balance as of the purchase date? Well, a cash advance triggers that process right away, even if you intended to pay off your card in full when the bill arrived. Using the example above (see: Carrying a Balance), you charge $500 on September 2. Then, on September 15, you use your credit card to withdraw $1,000 at an ATM. Not only will you be charged a $5 withdrawal fee, but you’ll also be charged interest on your $500 purchase as of September 2, and (an even higher rate of) interest on your $1,000 withdrawal as of September 15, no interest-free grace period! If you absolutely must use your credit card at an ATM (in some countries your debit card just might not work; this happened to me a few countries), then before you make the withdrawal, go online and pay off your entire current balance, plus the amount of your anticipated withdrawal. This creates a negative balance on your card, so the only money you’ll have to pay is the withdrawal fee. The waters run even deeper with travel credit cards; you can use them to your great advantage, or vice versa. Here are five more mistakes to avoid with travel credit cards. I recently applied for a travel credit card that awards 20,000 bonus miles if I charge $1,500 in purchases to the card in the first two months. I’ve had others that require $3,000 in purchases in the first three months. While the allure of a wad of bonus miles might seem appealing, they lose significant value if it necessitates carrying a balance and paying interest. I pay annual fees for my travel credit cards because I’ve calculated their worthiness in the accumulation of miles that help me travel (which I do a lot of). In some cases the annual fee is worthwhile, and others not; it’s dependent on your anticipated use of the card and its inherent rewards and benefits. Speaking of benefits, in the study I cited earlier, 48.4% of respondents didn’t take advantage of their cardholder benefits in the last year. This is a shame, because some travel credit cards benefits are really valuable. For example, if you rent a car, some credit cards offer comprehensive auto insurance just for charging the rental to the card. This is something that costs up to $30/day extra if you do it through the rental agency. Other benefits include flight delay/cancellation insurance, concierge services, airport lounge access, and more. Insurance is one of the biggest benefits; check out the Ultimate Travel Insurance Guide to determine which benefits you might have through your credit card and how to use them. When it comes to the frequent flyer mile game, Chris Guillebeau of the Travel Hacking Cartel advises setting a specific travel goal and working towards it. I did this when I got my first travel credit card (oh so many years ago); I noticed that rewards tickets to Hawaii were a spectacularly good deal when compared to cash prices. So, I got myself a travel credit card and started charging everything to the card with the intention of going to Hawaii. It took a while, but I kept my eye on the ball and I eventually got there! Where do you live and where are you likely to fly? When choosing a travel credit card, align yourself with the airline/alliance that will best serve you. Along with knowing your travel goals, it’s good to know about any potential obstacles you may have to reaching them, such as blackout dates and redemption restrictions. Before applying for travel credit cards, read the fine print to ensure you don’t get any nasty surprises when it comes time to book your trip. We are just retired, not rolling in money but no debts, want to travel and make the most of what we have. We want to get rid of Airmiles and choose new credit cards, maybe one cash back and one travel, not sure. We need help and your site looks great BUT how up-to-date are the recommendations? We don’t want to make decisions based on 2014 information. Thank you. Thanks for stopping by! While I’m only responsible for the Dear Nora column, my impression is that the credit card recommendations on this site are regularly updated. Don't subscribe All Replies to my comments Notify me of followup comments via e-mail. You can also <a href='https://www.creditwalk.ca/comment-subscriptions/?srp=5137&srk=2648578ecea05c83754707575dc5a494&sra=s&srsrc=f'>subscribe</a> without commenting.